How to change door locks. There are many types of door locks but they usually function the same. A Lenny Locksmith Sunrise will tell you how install them and remove them. After this blog you will know how to install and remove your own locks. When you purchase the deadbolt from the store and now you are ready for your new lock. Put deadbolt strike latch in first. Just screw two holes in and and the strike latch is in. 2. Proceed to put lock threw the hole in door. Then the last step when lock is in just screw two screws in lock. Now the lock is installed. Here is a picture to see how it would look just imagine a door is there. IT is very easy just un screw the two long bolts and the side strike latch. We didn’t even need a second step. 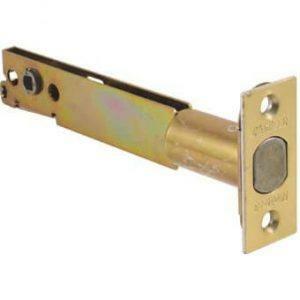 A Lenny locksmith Sunrise will also go into door knob install and remove. We are going to do this pretty quickly because its very similar to the deadbolt. To remove the door knob just un screw the long screws and latch screws. Does that sound familiar? Im sure it does because we said the same for deadbolt. 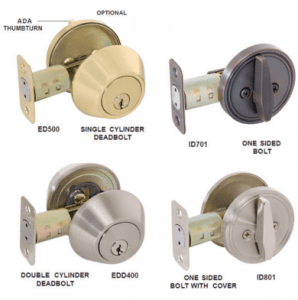 For installation just screw latch screws in and screw long screws in just like a deadbolt. Now if you read all this you can install and remove deadbolt and door knob. A Lenny Locksmith Sunrise hopes you enjoyed this blog. If you have any questions we would be happy to help you threw this process. Now if you get stuck or just don’t want to do it yourself you can call us and we would be happy to do it for you. We are a 24 hour service and are there for you anytime.